Founded by the Sitka Tribe of Alaska, Sitka Tribal Tours has been sharing Sitka’s rich history and culture since 1994. Our non-profit organization is dedicated to providing exceptional tour products that encompass all that is unique to Sitka. Join us for an intimate, entertaining, and educational look at our town. 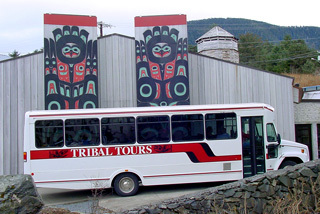 Sitka Tribal Tours employs guides that are residents of the Sitka community. 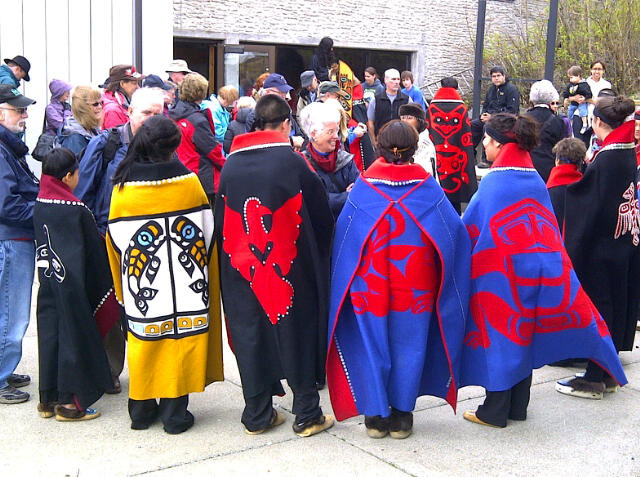 Our entire team participates in annual training with Tlingit elders and local historians. 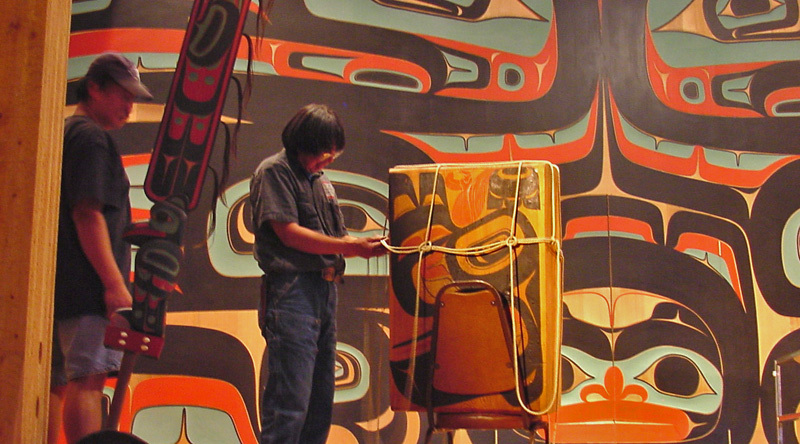 This guarantees Native cultural authenticity and historical accuracy within our program. 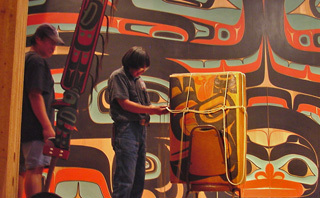 The result is a unique experience, unequaled by other tours currently in operation. We give you the opportunity to experience Alaska with real Alaskans. Our Alaskan guides have a personal connection to Sitka’s history and culture, and you can feel the difference. Tribal Tours offers a variety culturally oriented tours to both cruise ship passengers and independent travelers. 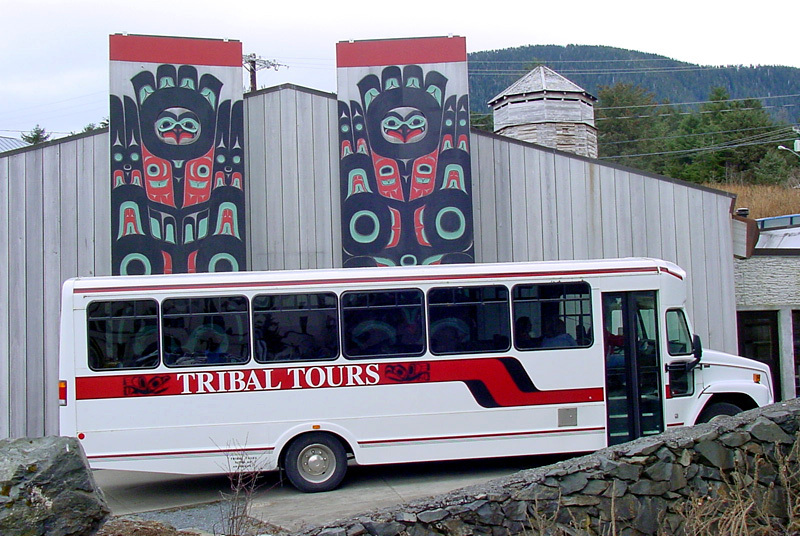 Tribal Tours can arrange for your trip to be as simple or multifaceted as you desire. Special tours can be designed for groups and individuals looking for an exclusive or unique experience. Contact us today, and we can create the tour that is right for you! Our tours are operated on coaches that seat up to 37, a passenger van accomodating 14, or our newest addition to the fleet, the trolley which can carry 32.